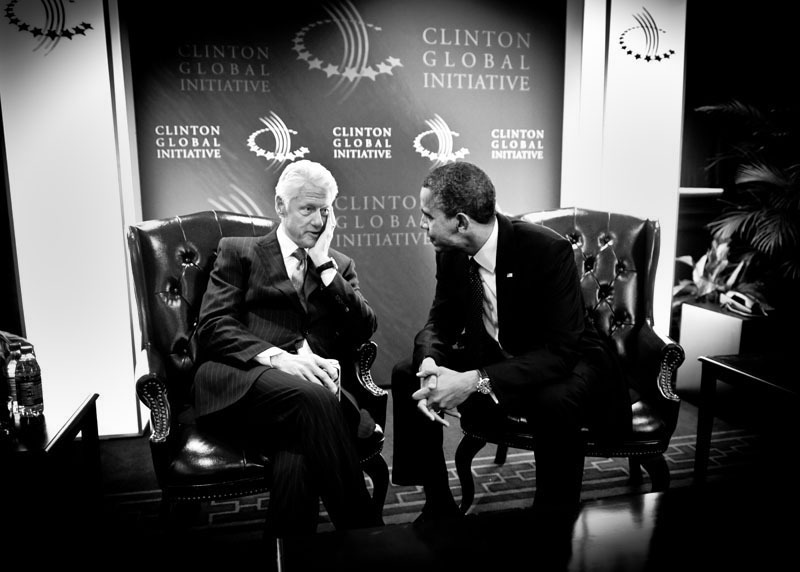 I have photographed the Clinton Global Initiative Annual Meeting in New York City for the past four years. The meeting brings together heads of state, government and business leaders, scholars, and NGO directors. This year, both President Barack Obama, Republican candidate Mitt Romney and Secretary of State Hillary Rodham Clinton were featured speakers. My job during the three-day meeting is to shadow President Clinton and photograph him greeting participants and speakers, attending panel discussions, speaking during the plenary meetings and well, just walking from event to event. Here are a couple of my favorite photos from this year. Former President Bill Clinton and President Barack Obama share a quiet moment backstage before Obama speaks to the crowd at the Clinton Global Initiative Annual Meeting in New York on September 25, 2012. 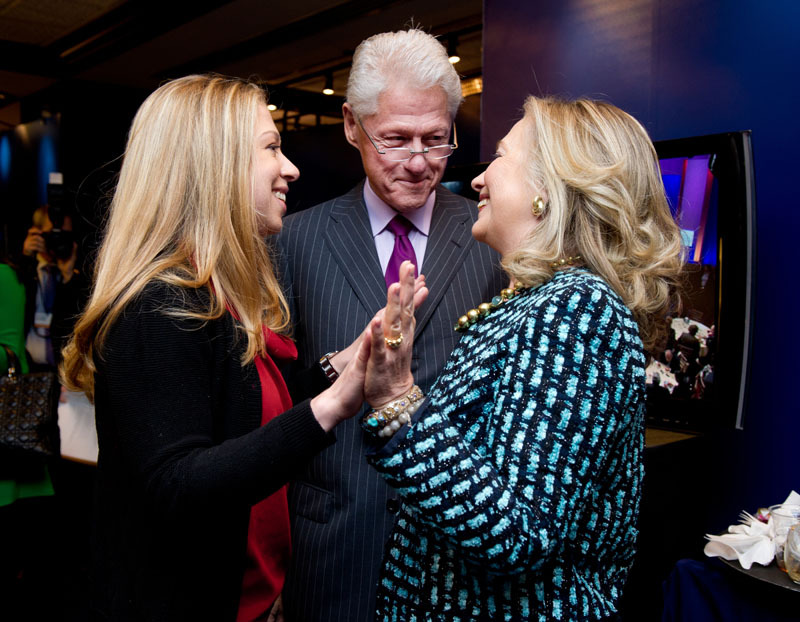 Chelsea Clinton with her parents, former President Bill Clinton and Secretary of State Hillary Clinton, backstage at the Clinton Global Initiative annual meeting in New York on September 24, 2012. 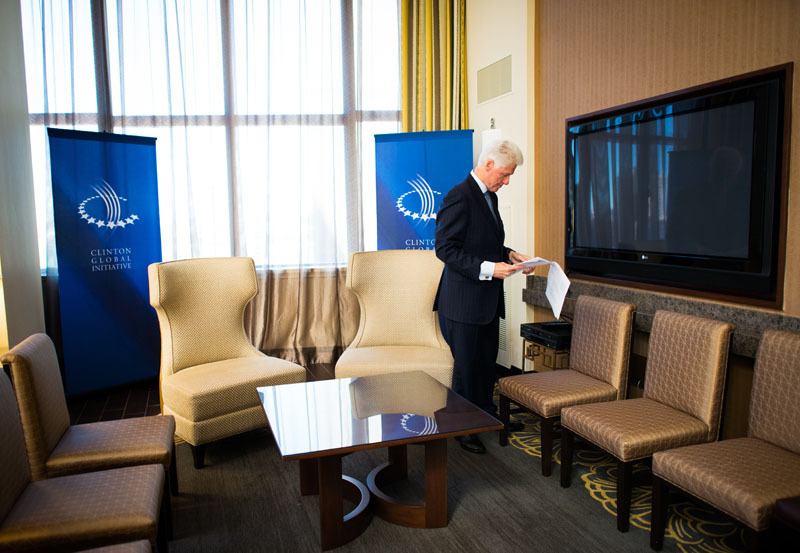 President Clinton checks briefing material in his hotel suite, which has been converted into a meeting room, before the arrival of a visiting head of state.